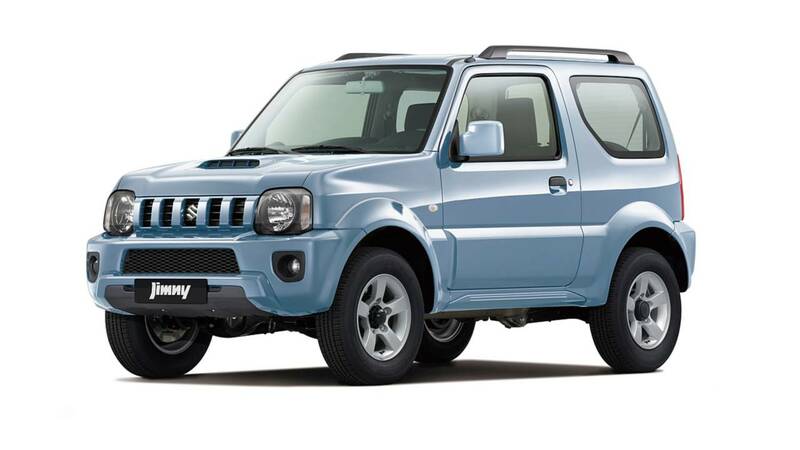 The previous-gen Suzuki Jimny debuted in 1998. After 20 years, it's time for a new one. 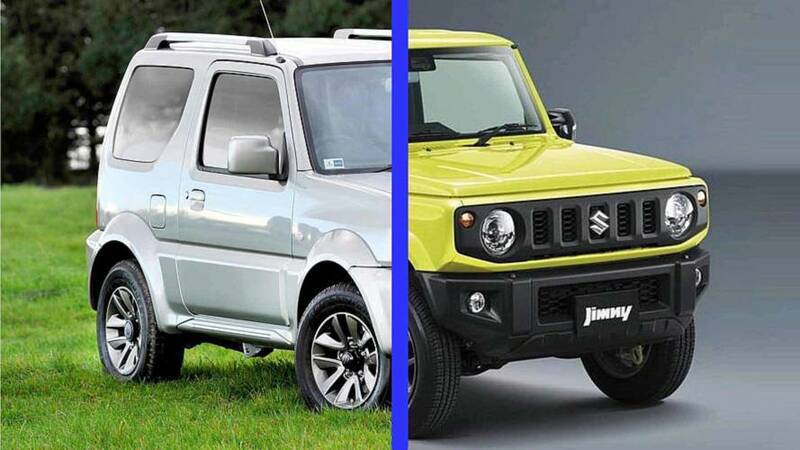 The new Suzuki Jimny is here – well, sort of. 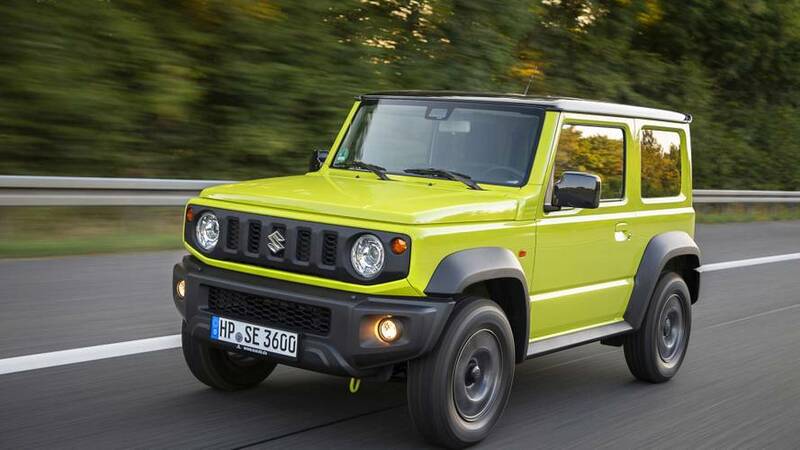 Suzuki makes the very odd decision to release a photo gallery of the tough, little off-roaders next generation, but the automaker accompanies the pictures with few technical details about the vehicle. 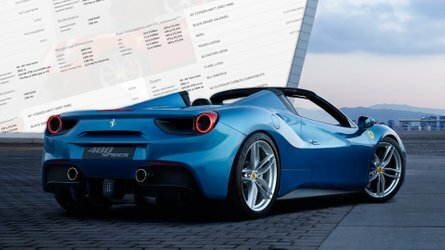 The specs don't arrive until the official unveiling on July 5. 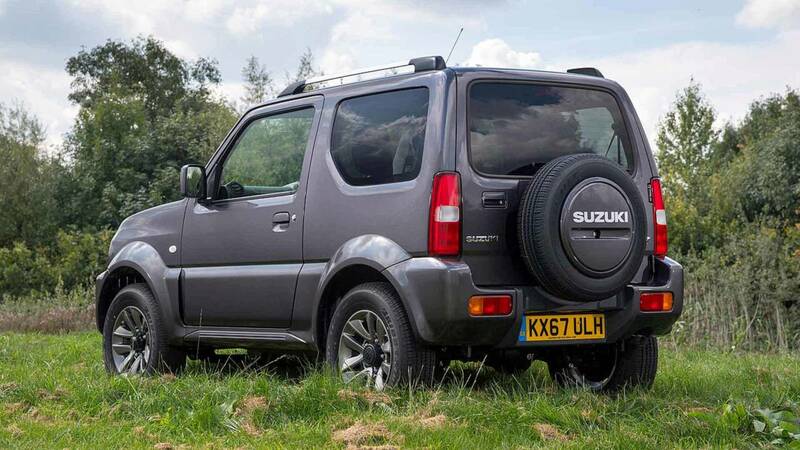 Suzuki's choice to split up publishing the images and the rest of the specifics doesn't make much sense, but it does provide a great opportunity to compare the latest model's appearance (always on the left in comparisons below) with the previous one (right). 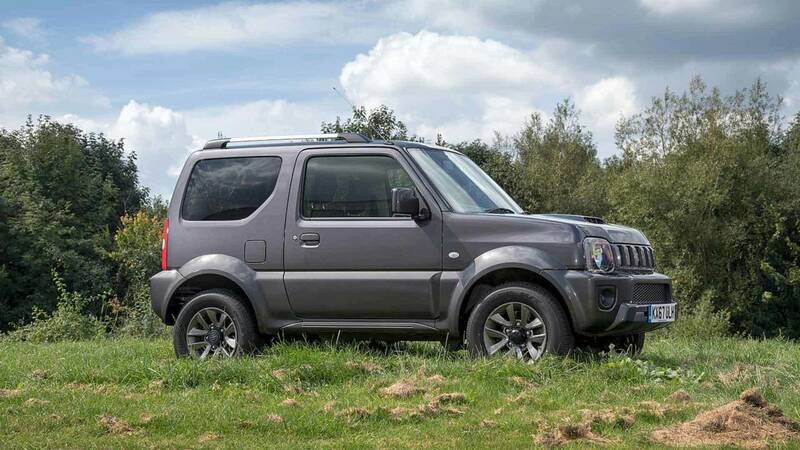 The Suzuki Jimny has never been a sleek vehicle, but the previous one at least had a few curves on the hood and for the fenders. The new one is the definition of chiseled styling with nary an arched line in sight. The hood is now flat, except for two very small creases, and the nose is blunt. 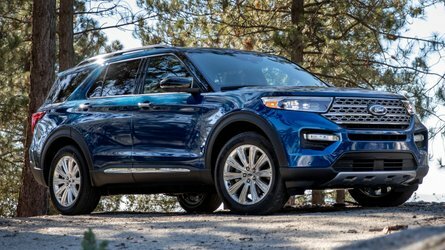 An available two-tone styling package adds a black grille, lower fascia, and roof, and these parts' contrasting color draws even more attention to the angular design. 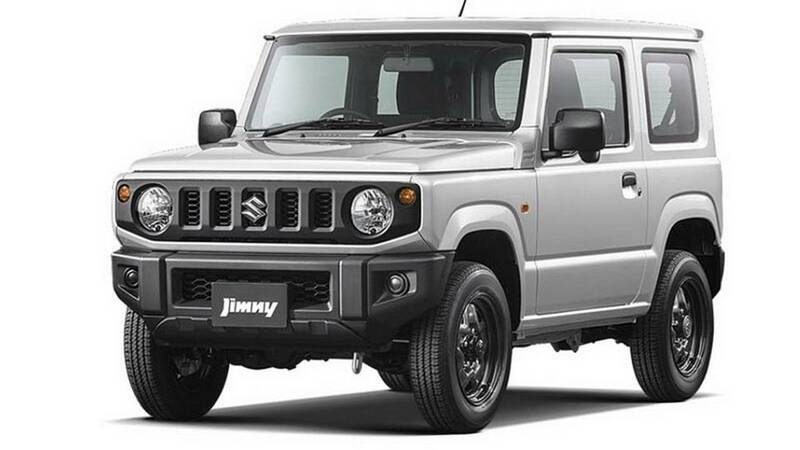 The round headlights are still there, and they lose the boxy housing around them from the old Jimny, so the new model gains a retro appearance. The fenders are now flat on top and appear to provide even more wheel clearance for bashing around off-road. 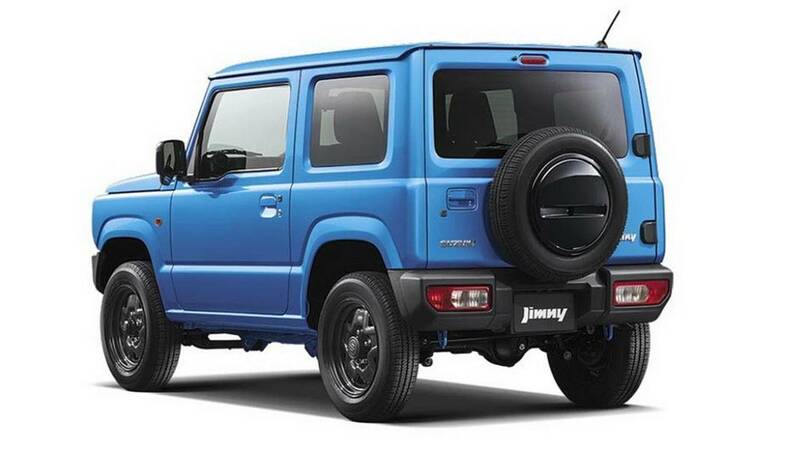 The new Jimny's boxy, retro styling is evident in the model's profile, too. The lower side cladding from later versions of the previous vehicle is gone, which accentuates the size of the latest version's fenders. 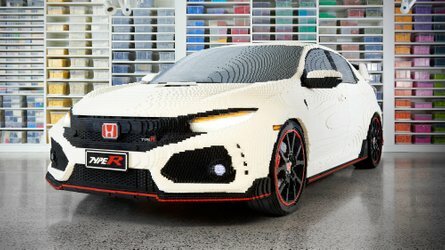 The result is an even tougher looking machine. 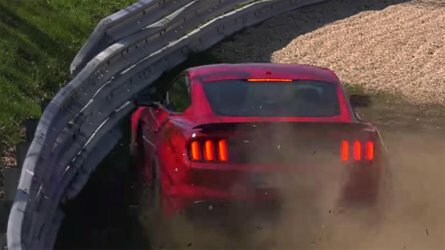 In what's likely a functional touch, the driver and passenger side windows gain a divot, which should provide a better view of the mirrors. Where the last generation's second-row window has a kink that slices off a corner, Suzuki's designers now switch to a square design. At the tail, Suzuki cleans up the design by incorporating all of the lighting into the lower bumper. This means the rear door can be wider because the designers no longer have to pinch it in to fit around the brake lights. In case of trouble, there's still a spare tire mounted back there. 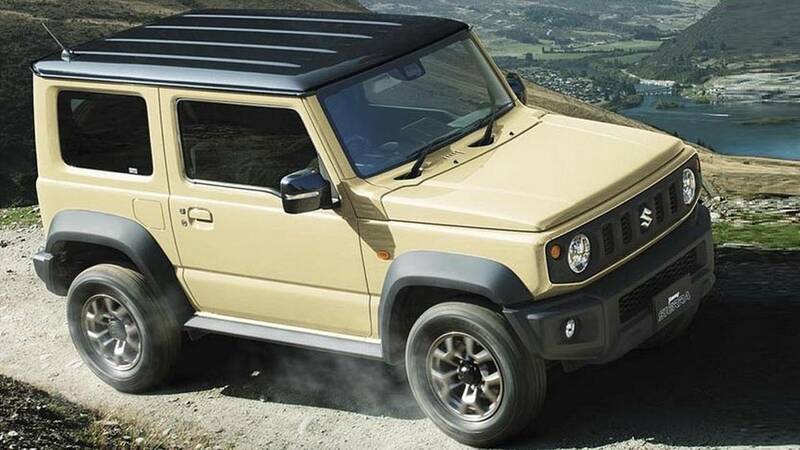 Big, exposed hinges and body-color tow hooks provide the visual message that this little off-roader means business. 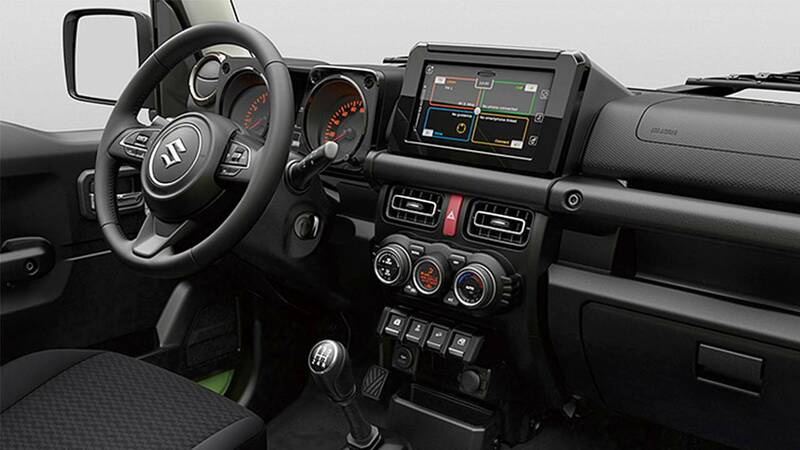 Inside, the new Jimny has a far more modern looking cabin. A touchscreen infotainment system now sits at the top of the center stack, and there's another small display between the two, large gauges in the instrument cluster. Traditional knobs are still present for controlling the HVAC system, but metal trim makes them look for more stylish than on the previous model. 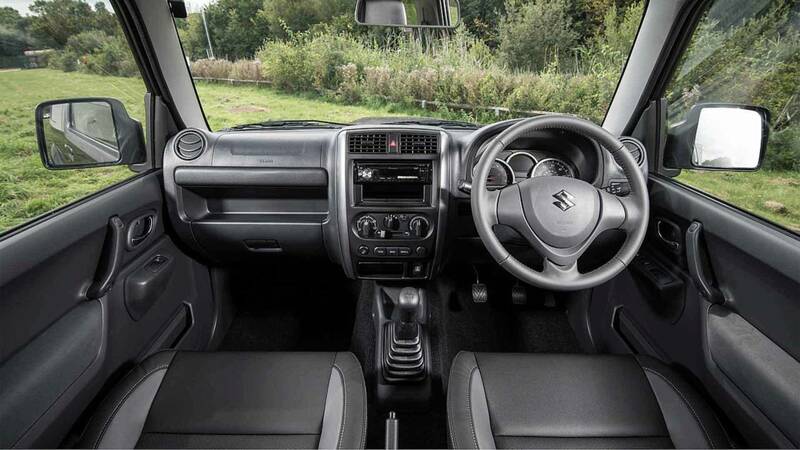 Suzuki's photos show the availability of a five-speed manual or four-speed automatic gearbox. Four-wheel drive with a two-speed transfer case should make it very tough to get stuck. 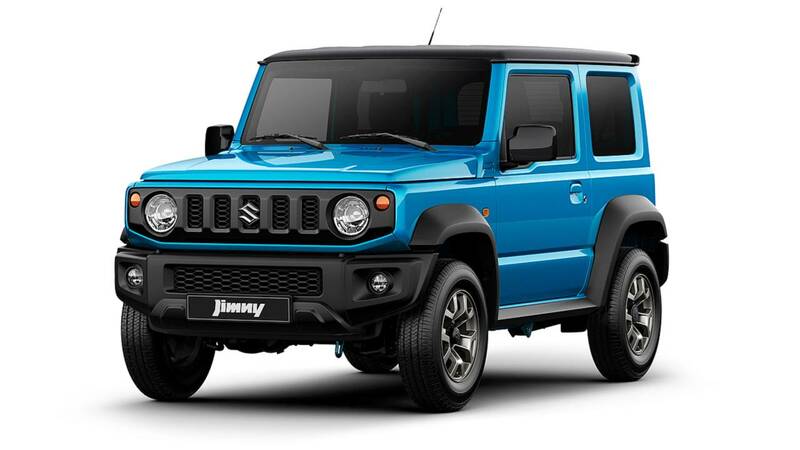 Suzuki has announced the Jimny's powertrain range but hasn't yet outlined the engine's specifications. In Japan, the little SUV will be available a 660cc engine to comply with the country's kei car requirements or a 1.5-liter powerplant. 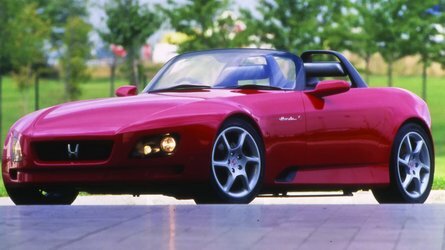 Europeans have the choice of the larger mill, a 1.2-liter four-cylinder, and a turbocharged 1.0-liter three-cylinder.